Distrust in the mainstream media has risen. This is not only in the U.S., where 69% of Americans have lost confidence in reporters over the past decade. Over half of U.K. adults believe the press fudge the facts. Based on these numbers, one might think readership and viewership of news outlets and other media to be low. But the truth is, the power of the press is still very real. This is according to The Economist, which late last year published findings from a recent study. It was led by researchers of three universities, including Harvard, and “measured the impact of stories” on Americans. This was based on the content of their Twitter posts. Thirty-three various outlets participated and shared pieces on topics as scheduled over 18 months. The results were in their favor. The experiment upped discussion on the subjects over 60%, prompting more than 13,000 posts during the test week. This was a 10% increase in the usual number of weekly posts for their given topics. Though the jump may seem slight, it’s important to note the outlets were “mostly small.” And, the Twitter users who responded were of both genders with diverse political views and physical locations. In short, its reach was wide considering its scope, giving hope for journalists, as well as your press events. Adweek reports journalists receive 10-20 press invites a week. This makes their time precious, putting pressure on you to make the best possible impression. One critical element of your ability to do that is the people you choose to interact with them at your event. While it’s not what Alexis de Tocqueville had in mind with his quote, know that the quality and quantity of your brand’s coverage rests more on these people than it does the press. That’s why many PR account managers look to professional event staff for the biggest impact and smoothest execution. To tell the brand story in a genuine way. A PR company that worked with MasterCard on their Brit Awards sponsorship learned a valuable lesson. Don’t tell a journalist what to say – or not say. Journalists are consumers, too, meaning they want authentic experiences like everyone else. Professional event staff with the right skills can provide this in genuine and exciting ways. If your brand is Great Big Story, which created a campfire scene for its press event, this might mean hiring actors to act out the stories around the campfire. For a maker of dancewear, your professional event staff may include dancers positioned throughout the venue. Or, for an alcohol brand, you may bring in mixologists, who know how to make a fine cocktail while holding a great conversation. Professional event staff “say” exactly what you want journalists to take away, in a way they can relate to and will want to share. To extend the press event’s reach (and its value). As part of the recruitment process for Great Big Story, brand ambassadors with a knack for social media were recruited. These professionals not only have the people skills to engage attendees. They know how to create or encourage content and its sharing that gets the intent of press events out. This helps ensure journalists’ followers and others are introduced to your brand or offering – and on time. The trial featured previously shows the role social media plays in sharing journalists’ work. But, a 2017 Cision survey tells just how valuable the digital networks are to their jobs. Seventy-five percent of journalists “describe social media as ‘completely’ or ‘to a large extent’ necessary to promote and distribute content.” Then, 66% “engage with readers at least daily” for organic promotion of the content. 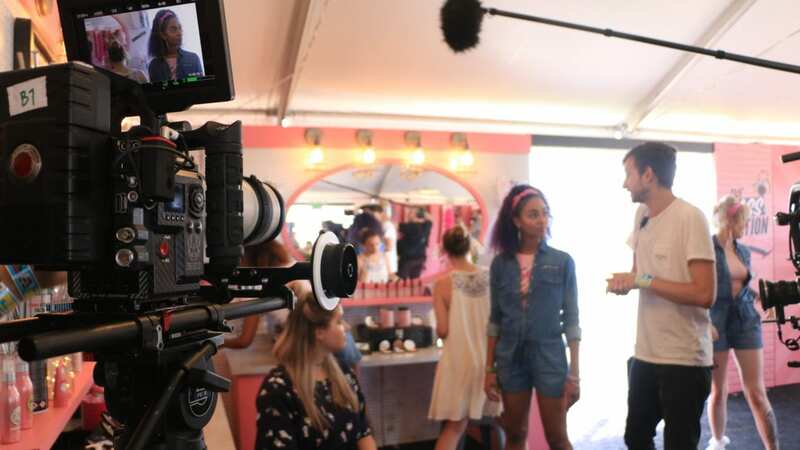 Hiring event staff who can help them capture quality content makes their job easier. And, this results in greater value of your press event. To relieve the burden of smaller, yet crucial tasks for smoother execution. Press events have many moving pieces that need a watchful eye. A conventional affair, at a minimum, will have one or more presenters, technical requirements, catering, and materials to oversee. But, when internal staff, such as PR account managers, are saddled with the details of these elements, as well as the courting of attendees, execution may suffer in one or more areas. And, the overall event may be subpar. However, hiring professional event staff relieves some of their burden and allows them to focus on managing the event, versus it managing them. One critical capacity brand ambassadors can be of great service in is registration. Their post at the front of the venue to welcome journalists sets the tone for press events. They are skilled at “checking” people in, while carrying on conversation and not leaving anyone feeling rushed. They can direct attendees where they need to go and handle inquiries and basic issues, among other crucial tasks. To enable more one-on-one attention. While professional event staff focus on smaller tasks specific to the attendee experience, they are also providing better engagement. This may be in small talk, as well as in casually sharing key brand messages provided in training so that they don’t come across as “outsiders.” In the meantime, PR account managers can direct their efforts to VIP attendees and other event priorities. The important point is that no one is lost in the shuffle. All journalists get the level of personal attention they need, no matter how much or little, for maximum impact. At Elevate Staffing, we have the people who are well-suited to make an impact on journalists of all kinds. Contact us to learn how our professional event staff can make the difference at your press events.